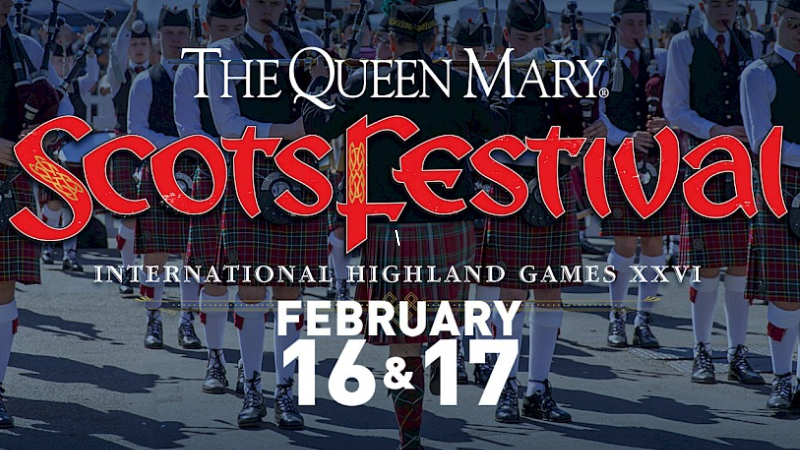 The ScotsFestival & International Highland Games XXVI returns to the Iconic Queen Mary for its 26th annual celebration on February 16 and 17 where athletes compete for titles in professional and amateur competitions in piping, drumming, massed bands, darts, Highland dancing, and Highland athletics. This year’s games gather the highest level of Professional Scottish Athletics for the new All-American Professional Highland Games. Watch professional, amateur, and master athletes compete in the various categories from the iconic Queen Mary venue all weekend. Other festival highlights include Lowlands music, tasty food and beverage vendors, and live performances. Festivities will take place from 9 a.m. to 6 p.m. on Saturday February 16 and Sunday February 17. Single Day General Admission is $25 for adults and $12 for children under 11. Single Day VIP Admission is $45 for adults, and $32 for children, and includes access to the VIP Shaded Bar, one beverage, and admission to the Ceihl. Weekend Passes are also available for $40 General Admission and $80 VIP.